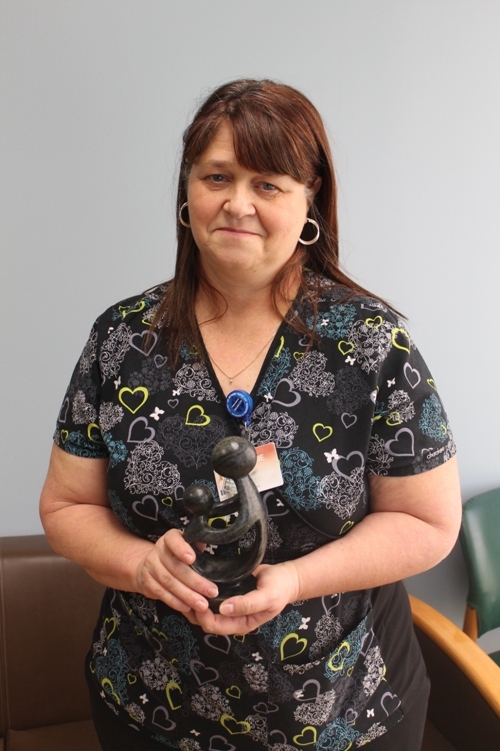 Cammie Townley, RN and Trauma Coordinator is HaysMed’s newest DAISY Award Winner! Cammie was selected from a group of blinded nominations voted on by the HaysMedPractice Committee. The Practice Committee consists of Staff and Supervisors from a variety of departments across HaysMed. Nominations are received from patients and family members, physicians, volunteers and Associates for nurses in inpatient, outpatient and clinic settings.